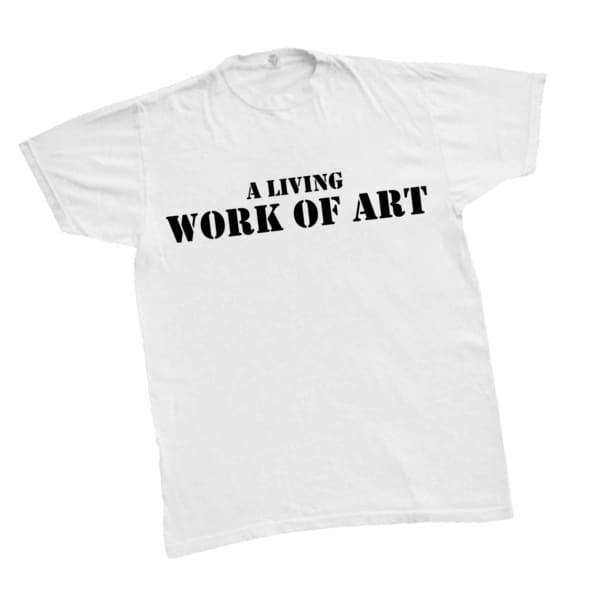 Be a living work of art! This white organic, tag-less crew neck t-shirt to commemorate the release of Extravagance for Record Store Day 2014 features the song lyrics on the front and back, with a black and glitter-red ink back print. The fabric is 100% comfort soft combed, 150gsm, OE-certified organic cotton.